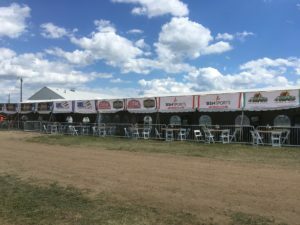 2018 ND Country Fest A #NDGoodTime! 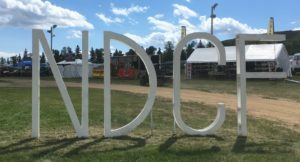 It was a #NDGoodTime in New Salem, North Dakota this weekend as the 2018 ND Country Fest kicked off Thursday-Saturday, bringing family-friendly camping and country music to the prairie like no other! 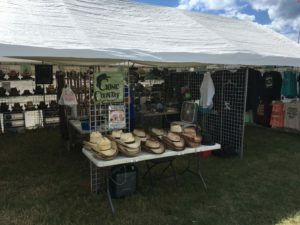 I stopped by the grounds Thursday afternoon to explore before the gates opened at 5pm, hoping to take in what I could before the hordes would come rushing in to enjoy food, family, and the best country music around! 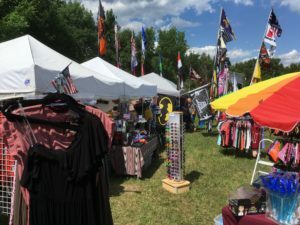 Being the first day of the festival, Thursday was particularly special as it was “give back night”, with admittance being only free-will donations which were then given back to the community in keeping with the family-friendly and pro-social atmosphere of the whole event. Although the music had yet to begin, many campers had already arrived, with many more to come over the next few days. 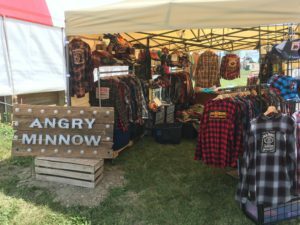 and the Angry Minnow, with their throw-back apparel and leather goods! 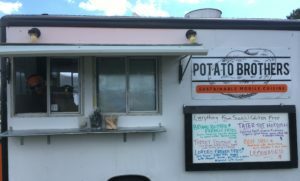 There were also plenty of food vendors lined up for the masses, including Patrick Frost and his Potato Brothers truck from Moorhead, Minnesota. Sustainable mobile cuisine just doesn’t get any better! but the real excitement would come once the gates opened and the crowds would welcome Small Town Boys, Brianna Helbling, and Confederate Railroad, not to mention Kyle Thomas Nunn at the after party and DJ Bertok in the Good Time Saloon! I think some of the best seats would be the tent suites along the sides of the concert area. They may not be front-facing, but having a table and chairs to yourself can sure be nice in a crowd! 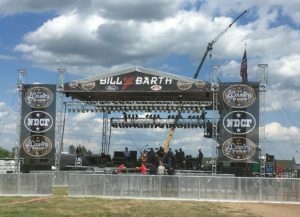 The line up of performers would only get better Friday night with the Church of Cash, Neal McCoy, and Montgomery Gentry, and of course the big show Saturday with Clay Walker, LOCASH, and North Dakota’s own Joe Schmidt! If you plan on attending Saturday night (July 14th), or next year, just take I-94 west from Bismarck, and exit at New Salem. 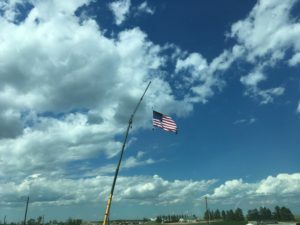 Head for the big cow, and you’ll find the festival grounds under the giant American flag! Have you attended a music festival yet this summer? What’s been your best concert experience? Do you prefer big city venues, or local events better? Let us know your thoughts in the comment section below, and don’t forget to scroll down to subscribe! When I first glanced at the picture of the sign i thought it said “NO COUNTRY FESTIVAL.” Guess I need new glasses!!! LOL!